Well here we are……if you are reading this that means you want to convince me why this upcoming planned paid pattern should be given away for free. So….let’s have a little fun and hear what ya have to say! You must leave a comment on the blog. You must leave a like AND comment on the ELK Studio FB post! It’s the pinned post so should be easy to find! The convincing time frame is until October 31st. There must be at least 1,000 likes and comments on the FB post and 1,000 comments on the blog for a total of 3K actions taken. Since there are over 34K ELKies, I think this is a totally doable goal. Should it not be met, no worries, it will come out as a paid pattern shortly thereafter! Red Heart Yarn Sent Me Goodies! Look at the goodies I received in the mail from Red Heart Yarn! Are you drooling because I certainly was opening the box. If you look closely, you’ll see 2 skeins of their new line of yarn called Reflective. I really love the feel of the yarn so far and can’t wait to dig in and start actually using it. Of course there is my favorite in the stash, Red Heart Soft. The other gorgeous yarn is Red Heart Boutique Swanky. Well, it’s super soft and the sequins are a nice touch. I’ve never used this yarn so it will be interesting to try it out. 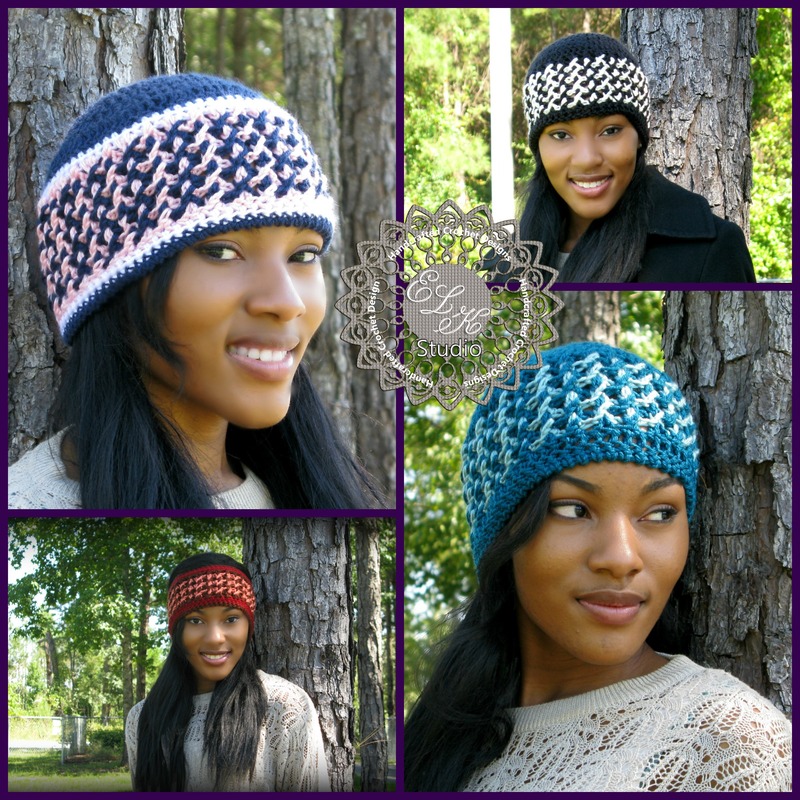 I’m thinking some type of shawl/wrap to go along with one of my Southern lines of summer hats. What do you think? 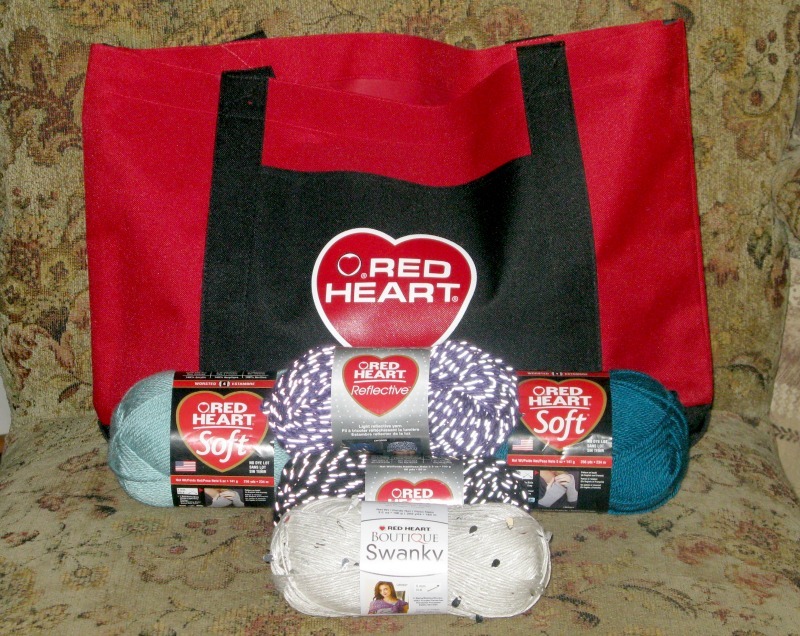 I really can’t describe the feeling when I received the email from Red Heart Yarn saying they would love to send me yarn for my future projects and what would I like. WOW! Really? Me? Little gal from Alabama? Are you sure you have the right person? It truly is an honor to receive this yarn, and I’m hoping some great design will come out when it starts running through my fingers. I hope you are having a great day! Be blessed!